Jiaogulan (Gynostemma pentaphyllum) known as “Cheap Ginseng,” is supplemented for its anti-diabetic and minor adaptogenic, cognitive enhancing, anti-fatigue effects. Jiaogulan is a herb often referred to as ‘Cheap Ginseng’ as it has similar properties to Panax ginseng. Jiaogulan is packed full of ginsenosides which was once thought to be unique to only Panax Ginseng. Jiaogulan is a good supplement for boosting cognitive function, focus, relieving stress, and for its anti-diabetic effects. Studies show that supplementation of Jiaogulan can help produce antioxidant enzymes and provide protection from oxidative cell damage. This provides longevity, anti stress effects, improved cognitive ability, anti-cancer effects, and minor improvements in fatigue and energy. Supplementation of Jiaogulan is shown to improve energy, reduce fatigue, fight stress, and improve cognitive ability. Jiaogulan is known mostly for its anti-diabetic effects, increasing antioxidant enzyme production, and reducing oxidative cell damage over time. Jiaogulan is best supplemented following manufacturers packaging directions. Alternatively, due to Jiaogulan being similar to Panax ginseng, we would recommend trying to reach gypenoside dosage between 200 – 800 mg daily. 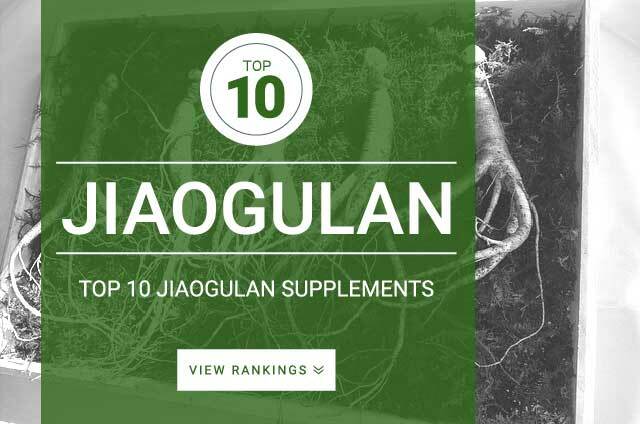 We believe the best Jiaogulan supplement you can purchase is Solaray Jiaogulan as it has the best overall quality and effectiveness when compared to other leading brands.